I saw a segment of “Mr. Food” the other day and he was making some salmon burgers. I had to give this a try. I really was intrigued; I’d always used canned salmon for this type of thing but he was using raw salmon. 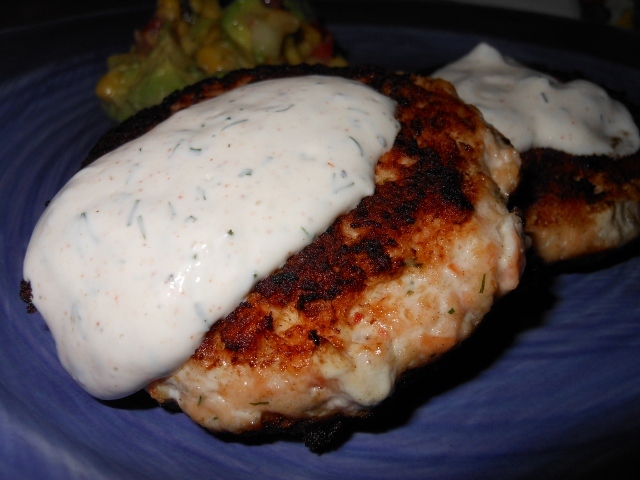 Nice texture and pretty good flavor although next time I will kick up the seasoning a bit; the dill sauce I served it with did though make up for any lack of flavor in the patty itself. 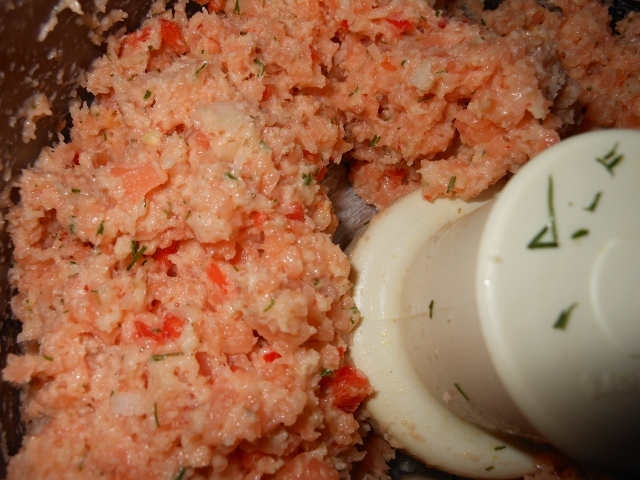 Add all ingredients to food processor and pulse several times to combine; careful not to over process. Form into patties (I made 4). In large skillet heat over medium high heat and add a bit of oil. Cook patties for about 3 minutes each side until cooked through. 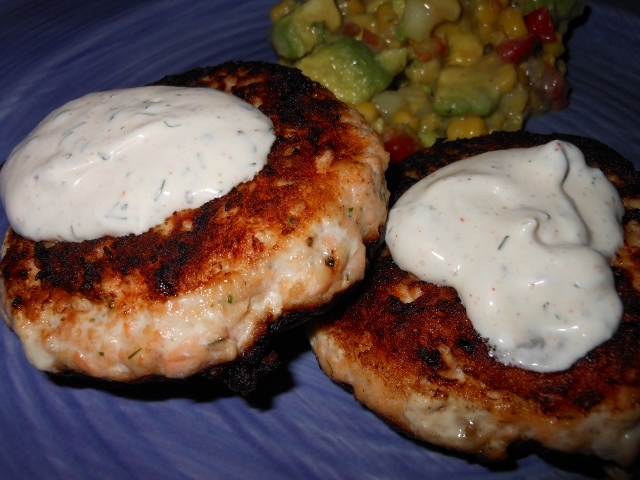 This entry was posted in Entrees, Recipes and tagged burgers, cakes, dill, food, patties, recipe, salmon. Bookmark the permalink.